A simulation study for the opening of plasmonic bandgap (PBG) with control over it by varying the slit width (SW) for exposed and buried 1D metallic gratings has been reported by using COMSOL Multiphysics, RF module. 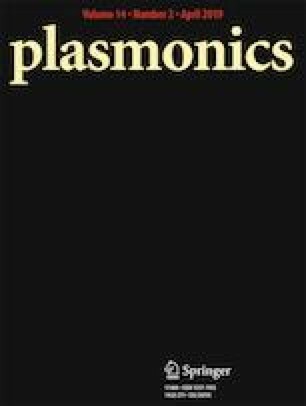 We observe excitation of surface plasmon polaritons (SPPs) and splitting up of surface plasmon resonance (SPR) dip to induce PBG by keeping the periodicity constant and varying the slit width for each grating. The resonance wavelengths are taken through far-field transmission and reflection spectra of exposed and buried gratings of different slit widths respectively. The new trends of bandgap energy for varying slit width of exposed and buried metallic gratings have been reported and discussed. In each trend, range of optimum value of slit widths are obtained around half of the periodicity which is a significant observation. The comparison of PBG energy for different metallic devices and the opening of PBG in the dispersion curves is also presented by the variation of incident angles. The potential applications of these devices are to control the surface-enhanced Raman scattering (SERs), light-emitting diodes (LEDs), and solar cell applications. Tahir Iqbal and Almas Bashir contributed equally to this work.